Does your group have a board that likes to meet or dine together at a nice restaurant? Or perhaps your exhibitors like to entertain existing or potential clients in small groups? 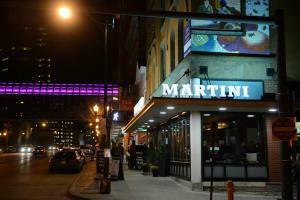 Whatever your needs, Columbus has numerous fine dining options to satisfy all parties. 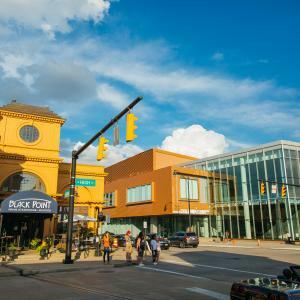 Here are a few of our favorite spots directly adjacent to the Greater Columbus Convention Center. The Cap, right outside of the GCCC’s north atrium, provides a range of steak and seafood options. Hyde Park Prime Steakhouse is a high-end, traditional American steakhouse with a chef-driven menu of prime steaks, grilled chops, fresh seafood and cocktails served in a sophisticated setting. Hype Park offers six private and semi-private dining areas accommodating groups from six to 50 guests. Next door, Eleven offers a chic space to enjoy cocktails and small plates with the option to utilize private rooms for dining or cocktail parties. Across the street, the 250-seat Black Point allows guests to enjoy grilled meats, seafood and sushi in a stylish, contemporary space with a club-like feeling. Private dining options accommodate up to 50 guests and include state-of-the-art AV equipment and Wi-Fi technology. Just across High Street, to the west of the GCCC, guests can choose from contemporary Italian or French Bistro inspired options. At Martini Modern Italian, talented chefs have created a menu featuring contemporary, creative interpretations of classic Italian dishes. This option, from famed Columbus restauranteur Cameron Mitchell, is well-equipped to handle private dining groups of up to 65 at any time of the day. Gallerie Bar & Bistro, located inside of the Hilton Columbus Downtown, highlights Ohio’s rich agricultural heritage by using locally sourced ingredients to artfully prepare unparalleled culinary delights. Jeff Ruby Steakhouse is the newest kid on the block, having recently opened just across the street from the GCCC’s south entrance. Nationally known for delivering extraordinary, over-the-top dining experiences, Jeff Ruby’s offers U.S.D.A. Prime Steaks, seafood and sushi. This location promises to offer the same impeccable service to which guests have become accustomed, in a setting customized with Columbus flair. Numerous private dining settings can accommodate all groups, large and small.